NAHB's Multifamily Production Index shows that development is at its highest point since 2007. The National Association of Home Builders’ two composite multifamily indexes, produced from its survey of multifamily builders and property managers, showed improvement in the third quarter of 2010, according to the organization. The NAHB Multifamily Production Index (MPI), which gauges development, increased to 35.6, up from 26.6 level during the second quarter. This is the highest the MPI has been since 2007. Also, the NAHB Multifamily Vacancy Index (MVI) registered a decline for the fifth quarter in a row, down to 39.2, meaning that there are fewer vacant apartments nationwide. The MVI has been declining steadily since reaching a peak of 70.2 in 2Q09. The MPI is a weighted average of three seasonally adjusted components. All three MPI components increased in the third quarter: Lower-rent apartments rose to 45.7 from 32.8; market-rate apartments rose to 38.6 from 34.4; and for-sale units (condos and co-ops) rose to 23.5 from 14.5. Similarly, the MVI is a weighted average of three seasonally adjusted components. MVI components for Class B and Class C apartments showed improvement (a reduction, meaning fewer vacant apartments), while the MVI component for Class A apartments increased only slightly. 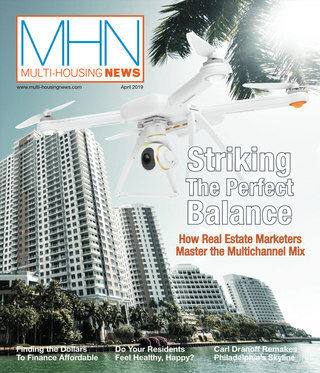 Previously, NAHB had reported multifamily index components individually. 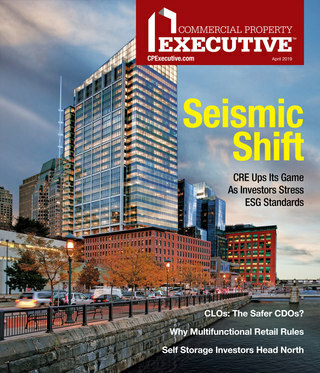 Beginning with this quarter, the components are being combined into summary indexes because of their usefulness in predicting the direction of the multifamily market one to three quarters ahead. “Since 1985, NAHB has been producing the Housing Market Index, which gives an indication of what the coming months will bring in the single-family market,” David Crowe, NAHB’s chief economist, tells MHN. “We’re confident that the MPI and MVI will provide equally useful information for the multifamily sector.